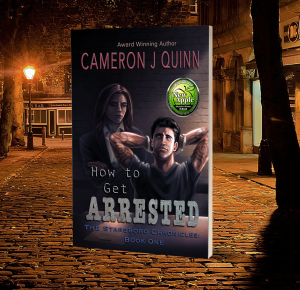 Looking for news and updates on Cameron J Quinn? Look no further! I also started a new company–yee haw!– Raven’s Quill Publishing. I still work with Amphibian Press but it was time for me to go it on my own for a bit. I’m working with a few of the other Story Grid Editors to improve my craft and grow as a writer. I really want to take my stories to the next level and this is how I’m going to do that. My next project is False Hope which has been on the back burner for too long. With the help of these professionals, I think I can finally do the story justice! How to Diagnose a Changeling is also getting a makeover and will be re-released this summer. 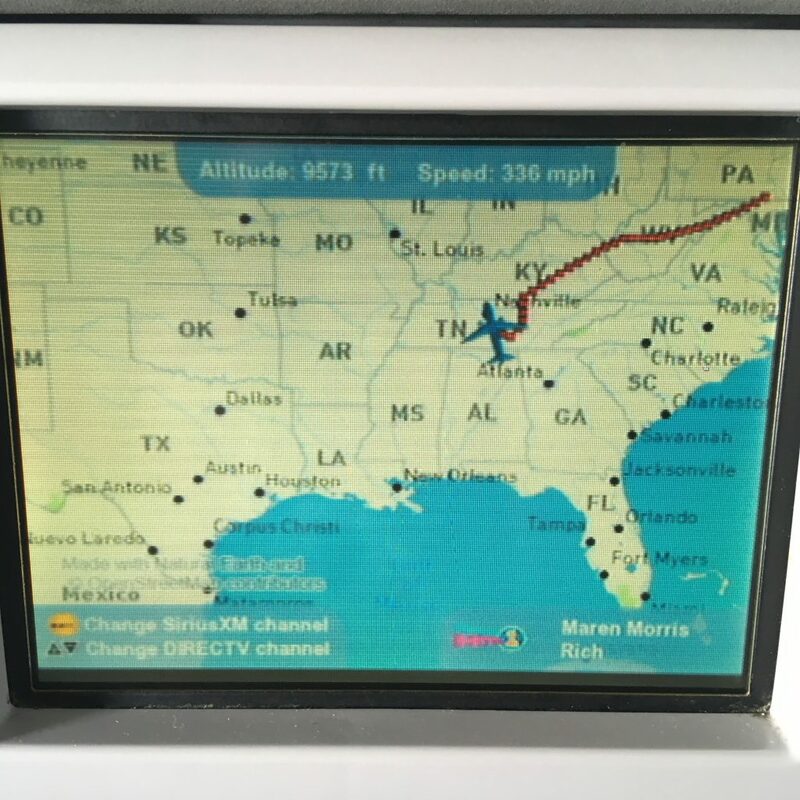 The long way into Nashville thanks to a thunderstorm. The best one while I was there and I missed it! I waited until late in the month on purpose for this one. 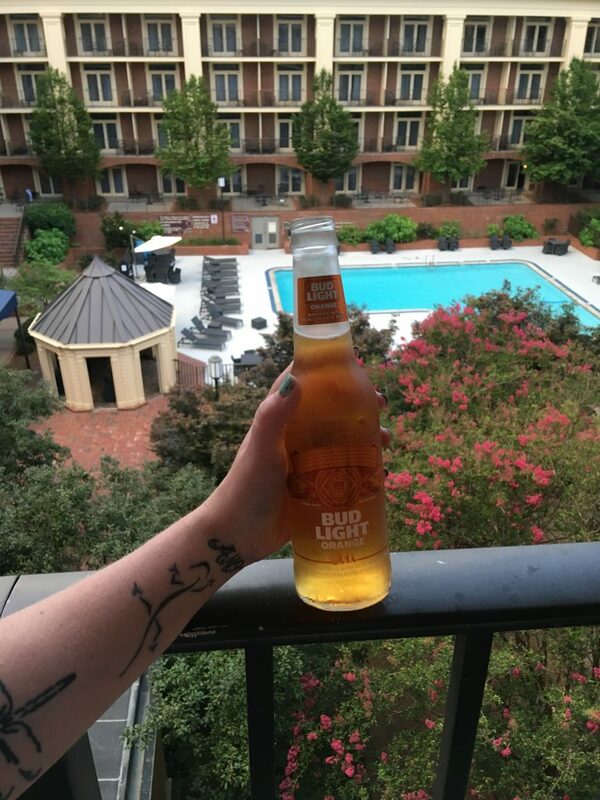 I knew I’d have a lot to say after my trip to Nashville but I really didn’t have any idea how much it would effect me. minded people for the first time in my life. I was going to make friends I actually wanted to stay in contact with. And for the first time, I didn’t have to hide any part of myself. My beliefs, my parenting, it didn’t matter. There was no judgment. Like actually no judgment. And I came away with a business strategy I believe in and want to pursue. I’ve been an entrepreneur since I was 20. My first business venture was as a consultant for lia sophia jewelry. I made decent money but I never really felt good about what I was doing. I didn’t believe in the product. A few other businesses and five years later when Sara asked if I wanted to be part of Amphibian Press I jumped at the opportunity. I’d get to sell books. I love books and it’s easy to sell someone something they’ll love too. Sharing books isn’t even salesy it’s just what I do. Fast forward to 2018 and I’m in a room with Tim Grahl, Belinda Griffin, Ben Allen, Ray Brehm, Lindsey Hartz and more! (I’ll link to everyone below) Not only are these all amazing people, they all have the same dream I do. Helping authors make a living off their writing through marketing. I can’t explain how that feels. I keep trying only to delete the sentence and try again. If you’re an author, find me at AmphibianAuthors.com. I’d love to help you market your book and get where you want to be. I love working with fiction but also like non-fiction. Specifically business books and books on writing. Saying goodbye to Tm Grahl after an amazing week! I learned so much! As for everyone else who was there with me: Lindsey Hartz helps faith based authors at lindseyhartz.com. Ben Allen helps non-fiction authors, especially those who write self help and inspirational stories at tonicbooks.online. Ray Brehm has courses and other resources at raybrehm.com. Teresa Alsech was also there. She’s the author of her incredible memoire, Broken to Brave and a speaker. 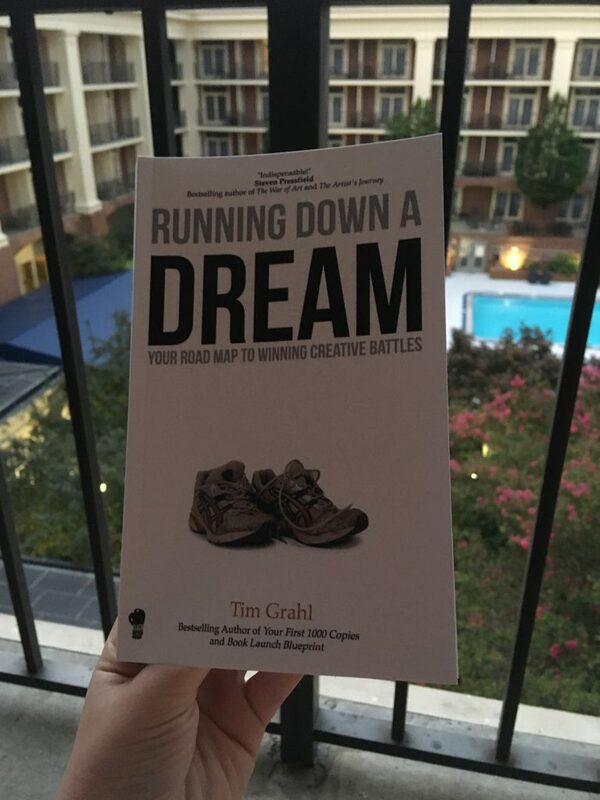 Tim’s new book. If you feel like you’re struggling to accomplish things in your life, READ THIS BOOK! Dani Jorgensen is a fiction writer who I plan to interview for my podcast, you can find her books at danijorgensen.com. Writer/photographer Craig Seymour from sunny Florida can be found at his website CraigSeymour.com. And the amazing copywriter, Sue Campbell who also has a podcast with her daughter about middle grade books. Beau Henderson of RichLifeAdvisors.com was an other welcomed addition. 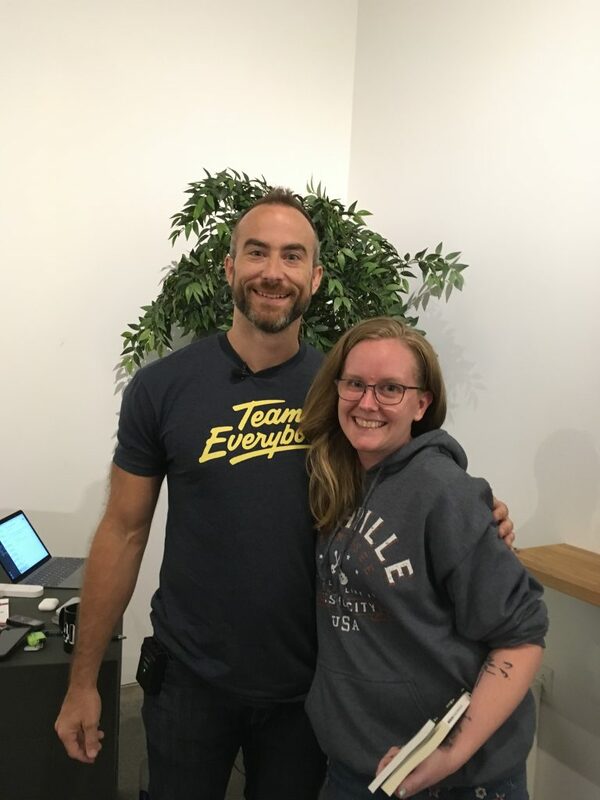 I didn’t get to talk to him as much but his website is amazing! There were a few other people there who I don’t have links for so I will update this as soon as I get those! We also had the pleasure of meeting two Story Grid editors. Valerie Francis and Rachelle Ramirez. If you need help with story, I HIGHLY recommend you look them up! I had so much fun on this trip. I was sad to leave, but definitely ready to be home. 8 days was a bit long for me to be away form my kids. Now back to writing and helping authors get their stories into the world! Time for the mid-year update already! 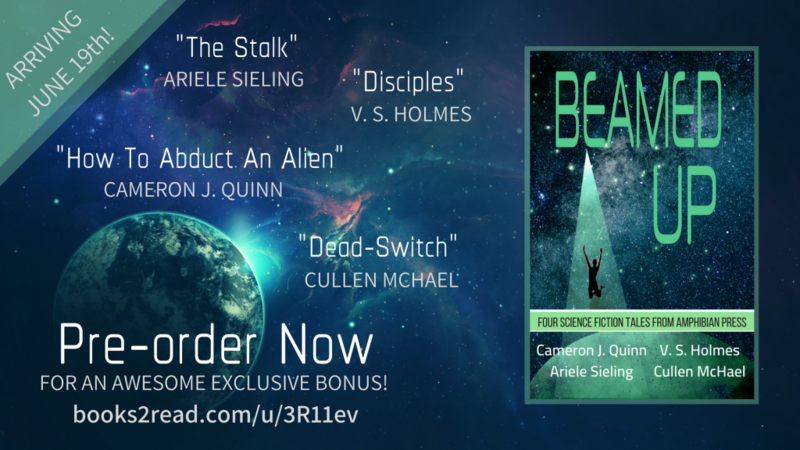 Beamed Up is Officially out! If you haven’t already, grab your copy (eBook or paperback) today! The link is books2read.com/beamedup. In other news, I’m getting really excited about heading down to Nashville with my mom and aunts. I can’t to get out of here and have a few minutes to breathe. I love my family but sometimes you just need some me time, ya know? Salem Witch is coming along and I have high hopes that How to Get Arrested will be back out before I head to Nashville. If it isn’t I’ll be using my free time to really get it done. But I’d rather not do that so I’ve been working hard to avoid it. For our book club, I’m about to read Turtles All the Way Down by John Green. 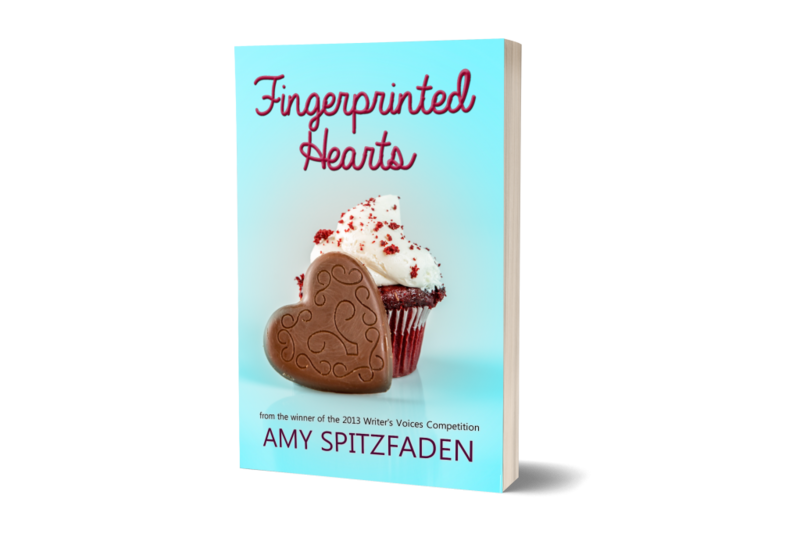 I’m almost done with Amy’s Spitzfaden’s Fingerprinted Hearts which is available for pre-order if you like women’s fiction and chick lit, I highly recommend. I love Amy’s work. And it will be available June 26th! Please share on Facebook, Twitter, Pinterest, or email to a friend! You spreading the word really helps us out! This month has been tough. I set some pretty serious goals for myself despite my husband’s surgery and other big events in my personal life. I’m feeling a little frustrated at my lack of progress. I’m not generally one to sulk so I’ll tell you about the plan moving forward rather than the things holding me back. I love podcasts. I listen to them almost every time I’m in the car. The only exception is when I’m riding with someone or need a few minutes of singing to brighten my mood. (If you’re having a “bad” day, singing for as little as ten minutes can give you a positive boost. I read it in a Facebook meme but it works great for me.) The one I’ve been binging on lately is Being Boss with Kathleen Shannon and Emily Thomson. I love this one because they don’t just talk about doing the work, though that is a big part of their chats, they also talk about the life side of being an entrepreneur. The thing that they talked about that was a lightbulb moment for me was how important it is to do the work and take breaks. I spend every waking moment trying to get writing or marketing or get new coaching clients and I never take a moment to myself. The thing that really caught my attention was when Emily said it makes her work better to take vacations and workaholics are not cute. I definitely have workaholic tendencies. I seem to be at 0 or 110. There isn’t really an in between so I’m going to work on setting my boundaries and finding a working schedule that will allow me to get more done when I am working and stop worrying about work while I’m not. 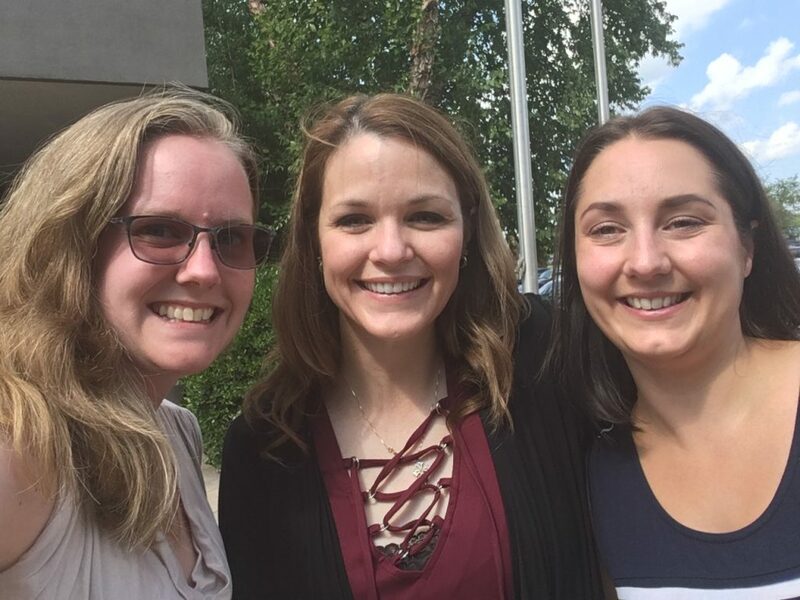 Emily and Kathleen have an amazing podcast and they just published the Being Boss book. I’m reading it now and I have to say their tough love approach is refreshing and I’m really enjoying it. Salem Witch is coming along though finding time to actually write it has been a struggle post surgery but I’m determined to get this book going. My husband is home and I’m tired but ready to get to work! This month I’m running around like a chicken with my head cut off as I try to finish my Associates Degree in Marketing (two weeks left!). After a long chat with Sara (V.S. Holmes) I’ve decided to work on a Starsboro spin-off for the anthology. False Hope was getting to be too long and I was kinda sad that it didn’t have more aliens in it (because Beamed Up). So instead I get to write Zurik again. This is super exciting because honestly, I miss him. I’m also preparing to write Salem Witch in May. I’m itching to start writing again. I’ve been focusing on Accounting and Economics and it’s KILLING ME! To help pay for my certification program with Tim, I’m going to be doing structural edits for other authors. I’ve been doing it for years I just didn’t know what it was called. My first project is V.S. Holmes new fantasy novel, Madness and Gods. I love that I can read stories and help authors as my job. I love writing though and I’ve been pushing it into the back seat. Once I graduate, I intend to rectify the issue. These next two weeks can’t come fast enough! Until next month, happy reading! Be sure to check out the Amphibian Press Podcast where Sara and I interview authors! I’m currently in my final term of college! I can’t wait to put this behind me. I’m also working hard to create a vlog, a podcast, and keep up with our blog. On the writing front, I’ve put Salem Witch to the side so I can finish False Hope, a short science fiction story for the Amphibian Press anthology Beamed Up, which is due out in the next couple of months. I’m almost done with the story so it’ll also help me pay attention to my school work. My husband is getting ready for surgery so I’m trying to keep my plate clear since I won’t have help around the house or with the kids while he recovers. Not that I’m complaining, we’ve been waiting 8 years for this surgery. Hopefully, it will provide the relief he needs. Anyone with chronic pain understands how awful it is to live with. I had a brief stint during my pregnancy where I had pain in my leg from a blood clot, and after a few days of being unable to sleep because of the pain, I was ready to cut the leg off. I have massive respect for people living with that kind of pain.